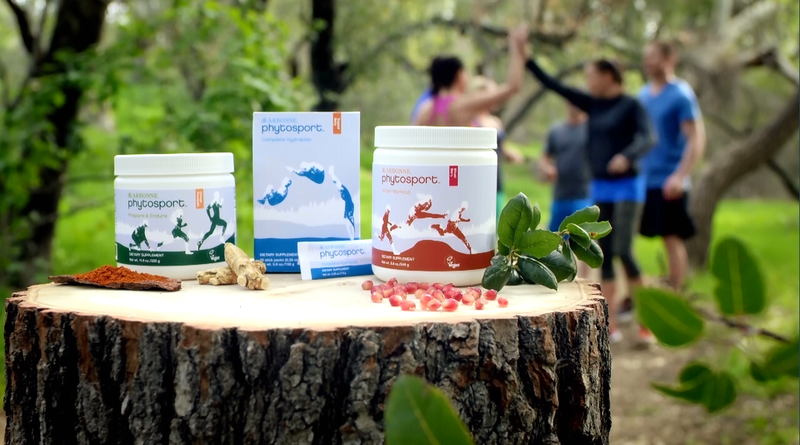 Arbonne PhytoSport™ products can help you achieve peak performance in sports and exercise. Whether you’re a competitive athlete or recreational team player, training with the right nutrients means you’re always going to win. Formulated without gluten and artificial flavours, colours or sweeteners. 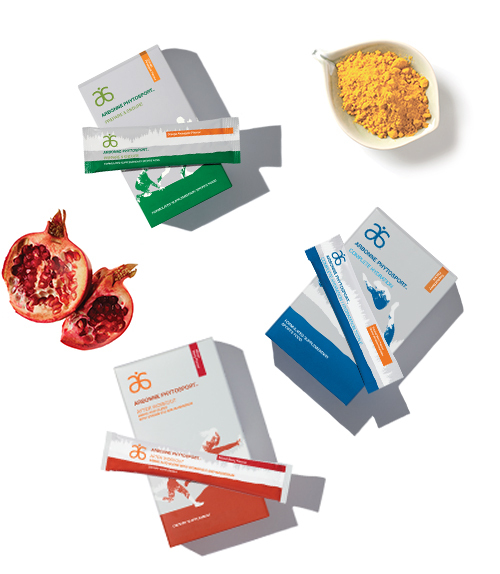 Arbonne PhytoSport™ is Informed-Sport Certified Sports Nutrition, a world class doping control agency which assures athletes that products have been regularly tested for substances considered prohibited in sport. Contains an exclusive blend of botanicals featuring cayenne (Capsicum annuum L.), ginseng (Panax ginseng) and turmeric (Curcuma longa) to support circulation, joint comfort, and physical performance, as well as offering antioxidant protection. Arginine and citrulline help support nitric oxide levels in the blood that help support blood flow, which in turn helps transport oxygen and nutrients to tissues, and waste products away from tissues to be excreted. Amino acids help increase cellular energy output. Carnitine is an essential component of “the carnitine shuttle,” which is the transport of fatty acids through the membranes of the cells to be burned for energy. It assists with breaking down fat and converting it to energy. Ribose is a component of ATP, the energy currency of the cell. Vitamin B-12 helps your body metabolize carbohydrates, proteins and fats, as well as support the formation of red blood cells. Magnesium helps maintain proper muscle function and is a factor in maintaining good health. Branched-chain amino acids leucine, isoleucine and valine help support muscle repair, alleviate exercise induced muscle soreness and promote recovery from normal exercise-induced muscle damage. Sodium assists in maintaining appropriate fluid levels in the body and helps replenish electrolytes that have been lost during exertion. Potassium aids in muscle contraction and is essential for maintaining a healthy fluid balance. Calcium and magnesium support muscle function and recovery. Data based on consumer perception after a 60 day home use trial of Arbonne PhystoSport products by 25 Arbonne Independent Consultants, Arbonne employees, and friends. ♢ These statements have not been evaluated by the Food and Drug Administration. This product is not intendend to diagnose, treat, cure or prevent any disease. All of the energy that we need for life, as well as for exercise, comes from the foods we eat and the fluids we drink. To perform at the peak level of your body’s ability, sports nutrition experts recommend specific nutrients both before and after a workout along with plenty of fluids. Every category of nutrition is important for overall health, but according to the National Academy of Sports Medicine, carbohydrates, proteins and fluids are the three key aspects of nutrition to focus on before, during and after strenuous activity. Be your best from start to finish. Maintaining endurance and energy is crucial to supporting peak physical performance. When you exercise, your body needs nutrients to support delivery of oxygen and blood flow to muscles and simple carbs for energy. Prepare & Endure contains a unique blend of those nutrients and carbs to help you get ready for physical activity and push through normal limits. Drink up. 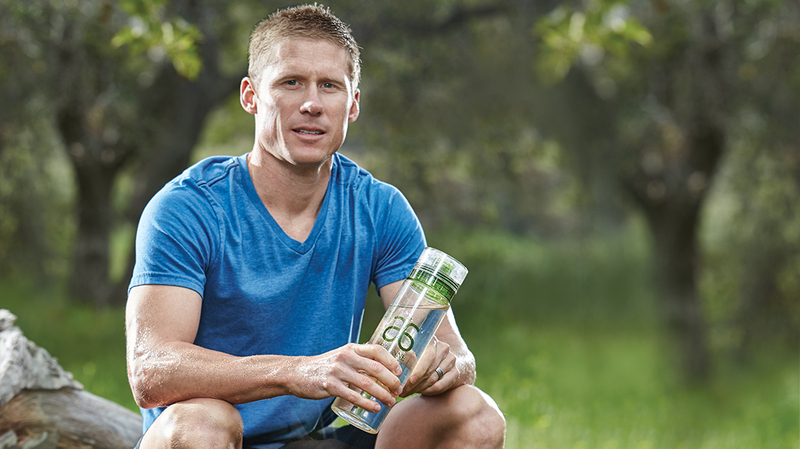 Hydration is critical before, during and after a workout for performance and recovery. Replacing electrolytes lost through exercise and sweat is key to supporting physical performance. Complete Hydration has minerals like sodium, potassium, chloride and magnesium to support the balance of water in the body’s cells. Exercise can be tough. Without a healthy recovery, it can be difficult to bounce back. Working out can cause sore muscles and joints, and even produce free radicals. The body needs proper nutrients to recover efficiently. After Workout offers a blend of unique botanicals and nutrients to help the body feel its best after strenuous physical activity. Fueled by nature, our plant powered sports nutrition system is infused with scientifically tested botanicals and targeted nutrients to enhance your workout. Q. Do I have to use all three Arbonne PhytoSport products? A: The Arbonne PhytoSport products were created as a system of products to support specific steps involved with workouts and exercise. To help provide the optimal amount of support before, during and after your workout, we recommend using all three Arbonne PhytoSport products. Q. What is the difference between Complete Hydration and Arbonne Essentials® Energy Fizz Sticks? A: Complete Hydration is formulated with a blend of 6 electrolytes to help support hydration of cells and osmosis. Electrolytes are needed for the body to properly regulate cell hydration. This is especially important during and after engaging in activity, as sweating can flush these electrolytes out of the body. Energy Fizz Sticks do not contain ingredients to optimize hydration in the body, but instead deliver botanicals with naturally derived caffeine and B vitamins to help deliver a boost of energy. Q. Is After Workout mixed only with water? A: After Workout is formulated so it can either be mixed with water or can be added to your Arbonne Essentials Protein Shake. Q. How do I benefit from adding After Workout to the Arbonne Essentials® Protein Shake? A: After Workout delivers important branched-chain amino acids and polyphenol antioxidants to support muscle recovery and antioxidant protection. By adding After Workout to your Protein Shakes, you obtain an additional 20 grams of protein, as well as over 20 vitamins and minerals. This extra protein can be beneficial to those who want to build more muscle mass or those engaging in strenuous activity daily, or multiple times daily. Q. What is the Informed for Sport Certification logo? A: LGC (formerly HFL Sport Science), a world class doping control laboratory with over 53 years of experience in drug surveillance in sport, tested Arbonne PhytoSport products for a wide range of substances banned by WADA (the World Anti-Doping Agency). As a result of these tests, LGC has awarded Arbonne PhytoSport™ the Informed-Sport certification. Q. Are there specific sports or activities that Arbonne PhytoSport products are recommended for? A: No, Arbonne PhytoSport products have balanced formulas, making them ideal for people engaging in sports and activities of all ranges. Q. Can I mix Complete Hydration with my Protein Shake, Full Control or Energy Fizz Sticks? A: Complete Hydration is ideal to drink before, during and after physical activity. We recommend consuming it separately from Arbonne Essentials Protein Shakes and Arbonne Evolution® Full Control. However, if you would like to mix Complete Hydration or Prepare & Endure with Arbonne Essentials Energy Fizz Sticks, feel free to do so. Q: How do I use my Arbonne PhytoSport products? A: Prepare & Endure should be used up to 30 minutes prior to your activity to help support peak physical performance. Complete Hydration can be used anytime before, during or after your workout to replenish lost electrolytes and keep you hydrated. After Workout should be used no more than 30 minutes after your workout to help support recovery. Team PhytoSportGo for the WIN! LGC (formerly HFL Sport Science), a world class doping control laboratory with over 53 years of experience in drug surveillance in sport, tested Arbonne PhytoSport products for a wide range of substances banned by WADA (the World Anti-Doping Agency). As a result of these tests, LGC has awarded Arbonne PhytoSport™ the Informed-Sport certification. This certification assures athletes that products have been regularly tested for substances considered prohibited in sport and that they’ve been manufactured to high quality standards. LGC’s testing capability for supplements/ingredients includes the analysis for a broad range of banned substances (steroids, stimulants, diuretics, masking agents, etc.). All testing methods used have been validated and accredited to the ISO 17025 standard. LGC’s testing specification has been developed based on the analysis of well over 65,000 supplement samples as well as research into supplement contamination levels and positive drug tests within professional sport on a global basis. The detection limits indicated are widely considered to be those necessary to re-assure the athlete that they are not taking undue risks.